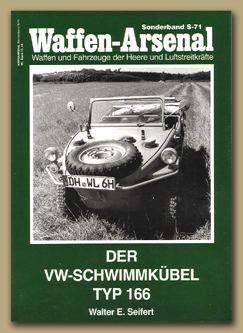 In this section you'll find a listing of all the books that I feel could be useful to fellow Schwimmwagen enthusiasts, collectors and modellers alike. 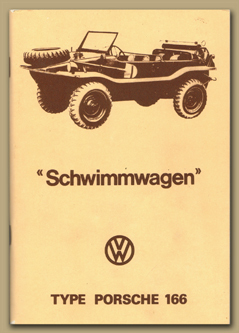 There are a few more publications on the Schwimmwagen which I have yet to track down but at least the ones shown here are pretty much readily available. 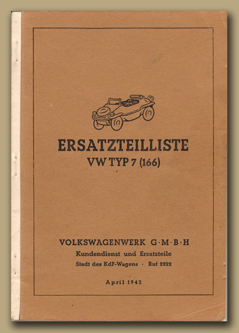 This book contains 196 pages, text is in English and all the images are black / white, only 2 pages dedicated to the Schwimmwagen but still a nice book full of cars used by the Wehrmacht during the War. 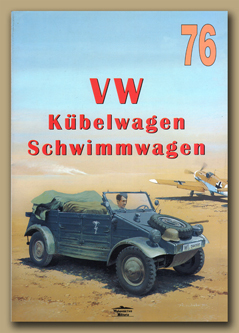 Quite a comprehensive 70 page book on the Schwimmwagen & Kubelwagen, published by Wydawnictwo Militaria, There are plenty of black / white images plus a good selection of colour plates and the text is in Polish. This is a modern day re-print of the owners manual written in French and German, it covers all the basics for maintenance and vehicle usage. There are plenty of useful cross sectional drawings with detail descriptions of all the working parts of the Schwimmwagen. 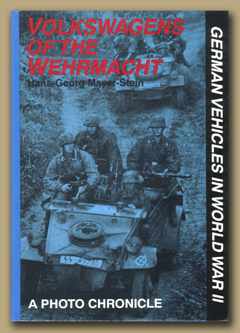 A well priced little book at £5 containing 48 pages of colour images dedicated to the Schwimmwagen, The vehicle presented here doesn't appear to have as many histrically accurate features as you would at first think but a nice book none the less. 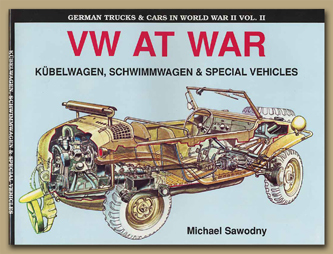 This is a great book on the Schwimmwagen as it contains lots of really nice detail colour images showing different versions of the vehicle. This book gave me a really good idea of what to look out for when I was in the process of purchasing my own vehicle last year. I picked this book up recently and I’m glad I did as it features a great set of post war photos of Schwimmwagen’s in action, German text only, 49 pages and all black / white images. One of my favourite books, this is only a re-print and I have yet to track down an original copy. 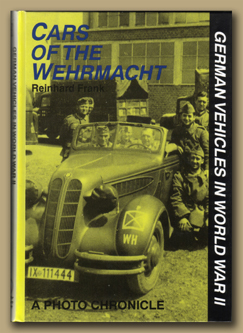 It's crammed packed with great photos many of which I've never seen before and it's a worthy addition to any Schwimmwagen enthusiasts library. The text is only in German and contains some brief excerpts from the owners Manual. 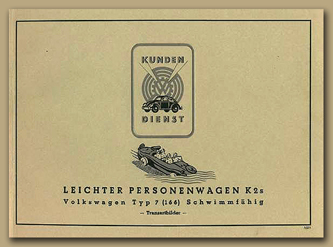 A nice general purpose book on all things VW during the War, 50 pages containing black / white images with English text. Published by Schiffer Military History. 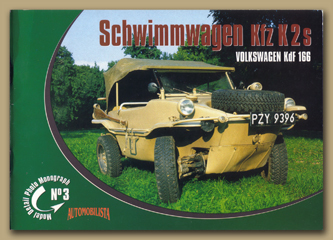 The book also contains a nice selection of rare photos of the Schwimmwagen in action. 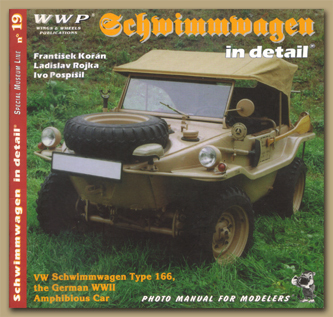 This book is basically a re-print of the parts book issued for the Schwimmwagen, very useful for anyone planning on carrying out any restoration or maintenence work. This appears to be a 1988 re-print of the original sales brochure, an interesting piece to own but not really very informative. 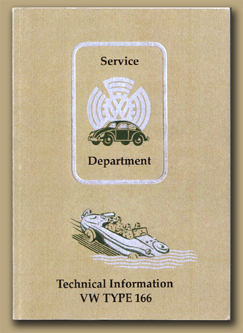 This book which has only recently been printed by www.vwschwimmwagen.de is the complete English translation of the original 1943 technical information handbook (manual) for the Schwimmwagen and probably the most useful book to accompany your vehicle. 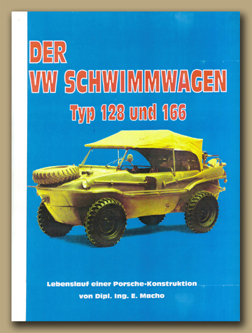 Every technical aspect of the Schwimmwagen has been covered and the book is really well printed - highly recommended. 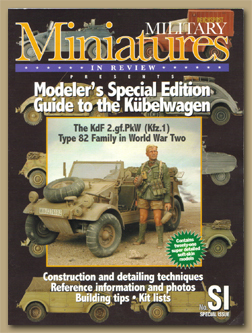 If you enjoy modelling war time VW models then this is the magazine for you, it covers the Kubelwagen, Schwimmwagen and Beetle. All the models are expertly built and even some of the rarer variants are covered in great detail.